January 30th, 2016. Japanese games news outlet Gamer reports that over the 28th Bandai Namco Entertainment showed off the upcoming Digimon World -next 0rder- at the Taipei International Game Show in Taiwan. The game was shown alongside Summon Night 6, by -next 0rder- producer Fujiwara Yasunori and Habu Kazumasa. The two of them gave an overview of the Digimon franchise, elaborating on the origins of it in the virtual pets and -next 0rder-'s relationship to that era. 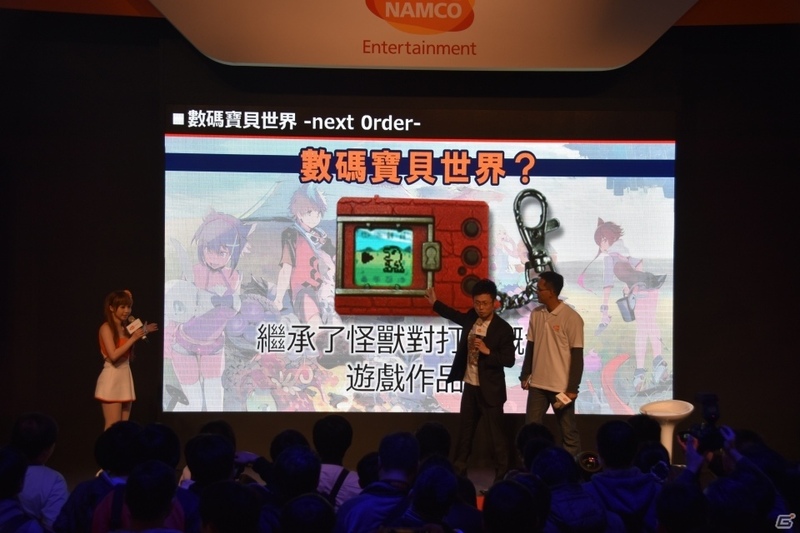 Fujiwara ended his presentation on a dramatic note, stating that "Hereon, I want the Digimon series to also reach everyone in Taiwan." Bandai has made Taiwan a focal point of its international strategy, as the country is part of an important international crossroads in shipping and commerce. Last November the Taiwanese edition of Cyber Sleuth premiered far in advance of its English localization, a testament to the region's importance to the company. 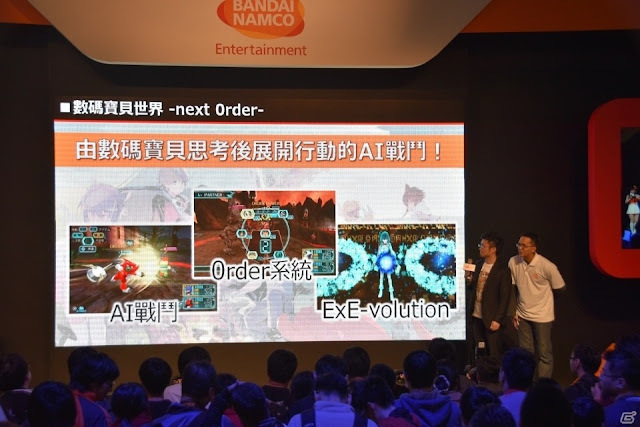 Interestingly, one slide from the presentation showed female protagonist Shiki undergoing ExE-volution, something that has not been featured in preceding promotional materials. Re:Digitize Decode on the 3DS -> Most underrated "port" ever. Totally agree. Decode is in my opinion one of the best games of the last few years. and in the end they announced that Next 0rder will be localized in chinese, right? also I heard Habu also said that Cyber Sleuth sold very well in Taiwan, isn't it? They announced that Summon Night 6 will have a traditional Chinese localization. The Gamer article doesn't mention one for DWN0, or anything about sales. Digimon next to summon night 6?? ohh the hype!! !